Atari has teamed up with the LGBT Media organisation to form a new inclusion strategy for its games. The company teamed up with LGBT Media which created the LGBTQutie app. The new deal aims to “re-launch” Pridefest, which was announced in 2014, a city building simulator. Socially the game will be expanded using LGBTQutie. The two companies said they hoped to set a “new standard” for gaming and to represent the LGBT community. Back in 2014, Atari announced the LGBT-themed game for iPhone and iPad in which players organise a Pride parade. The company, most known for its 1980s arcade hits, announced the release of Pridefest, a “LGBT-themed social sim game” in which users play as the manager of a Pride festival. In the game, players create their own pride parade in a city of their choosing, allowing them to customise their flotillas in order to keep the city happy. The company said at the time in a release: “Players will need to solve challenges and complete quests to unlock new parade and festival supplies, or receive other bonuses. Atari COO Todd Shallbetter said: “We are excited to be developing Atari’s first LGBT-themed game that will give players of all backgrounds the chance to play a fun and unique game that represents a passionate cause. 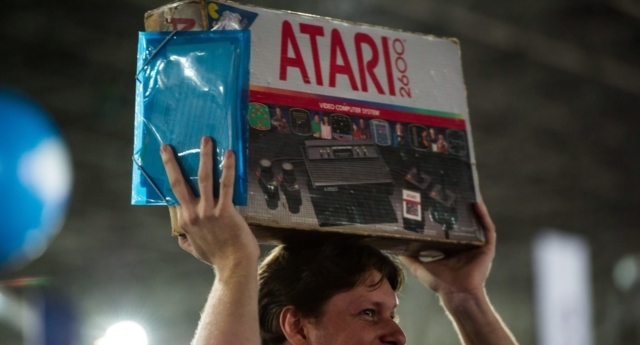 Matt Conn, of the LGBT GaymerX convention said: “Gaming is the largest entertainment sector in the world, and Atari is one of the most recognizable and iconic brands. “To have them support our conference and cause, as well as bring an LGBTQ-themed game to market is a huge step toward equality in gaming.